LOUISVILLE, KY (WAVE) - A man wanted in connection with the robberies of several businesses, including a bank, was arrested not long after he pulling one of his jobs. 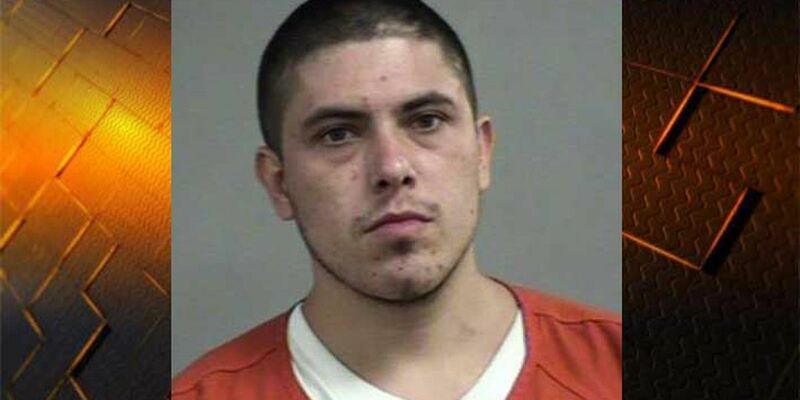 Louisville Metro police took Justin Timothy Miller, 26, of Louisville, into custody as he arrived home about 25 minutes after committing a robbery. + Wanted Jeffersonville man surrenders in Spencer Co.
Miller's arrest report says he is responsible for the August 7 robbery of the Aldi supermarket at 3442 Preston Highway, The August 9 robbery of PNC Bank at 5500 Preston Highway and the Walmart Neighborhood Grocery at 3101 Poplar Level Road on August 15. Police said Miller did not display a gun but presented a note demanding the cash during each of the robberies. Miller was arraigned this morning at the Louisville Metro Corrections courtroom. he is being held on a $75,000 cash bond and will be back in court August 26.